In this day and age, you can’t really be ‘on the go’ unless you have some sort of reserve to power your phone. Yeah, but have you ever been on an important call or in the middle of getting route directions when your iPhone starts to fail? It becomes an episode of the Three Stooges trying to negotiate the external battery (Larry) and the wires (Curly) along with your phone (Moe). So what can you do? You can get yourself a battery case, that’s what. 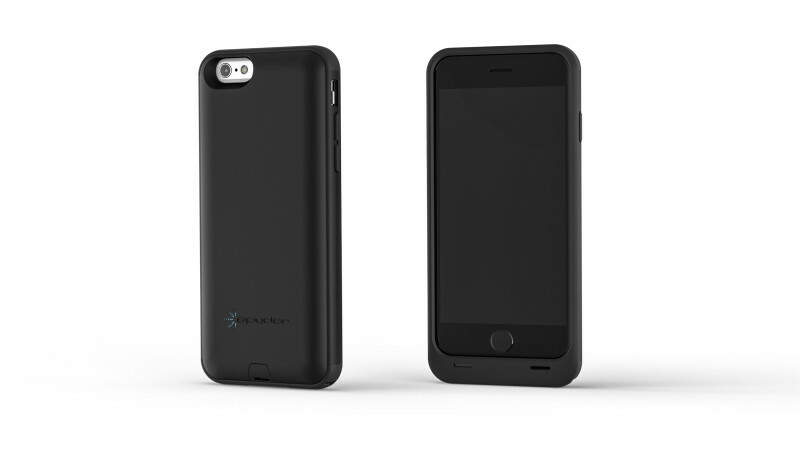 These battery cases have become a saving grace for quite some time, but we have never seen one for the iPhone 6 that is as thin, sleek and useful as the PowerShadow by Spyder. The name fits it well, as the PowerShadow’s 12.5mm profile is really not much thicker than the shadow of your iPhone 6 while sitting on a table. 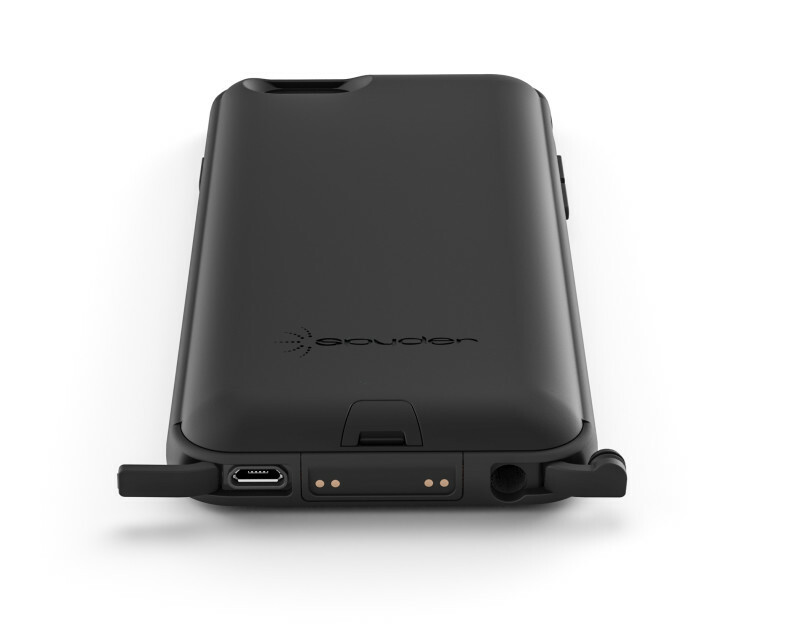 Spyder calls it the “world’s thinnest battery case,” and from our experience we can’t argue with that. It fits comfortably in your pocket, and you really won’t notice any difference to your phone until it is in your hand. But once in your hand – as thin as it is, some of our team members commented that it still adds enough size and weight (about 3 oz) that some users may find it a bit too bulky. Okay, so what do you get for any minor compromise you may have to deal with on its size and heft? You get about 10 extra hours of web browsing, 11 hours of video watching, 50 more hours of music playback and 15 hours of extra talk time. You also get a non-slip, soft touch and antimicrobial (Silver Seal) case surface. It offers impact resistance, keeps your phone from bending (this thing is sturdy) and it seals out water and dust from sneaking in from around its seal around your phone. Yes, there will be a ‘seal’ around your phone, as this battery case does not feature a built-in screen protector. A few of our testers commented that they wish that was an option. 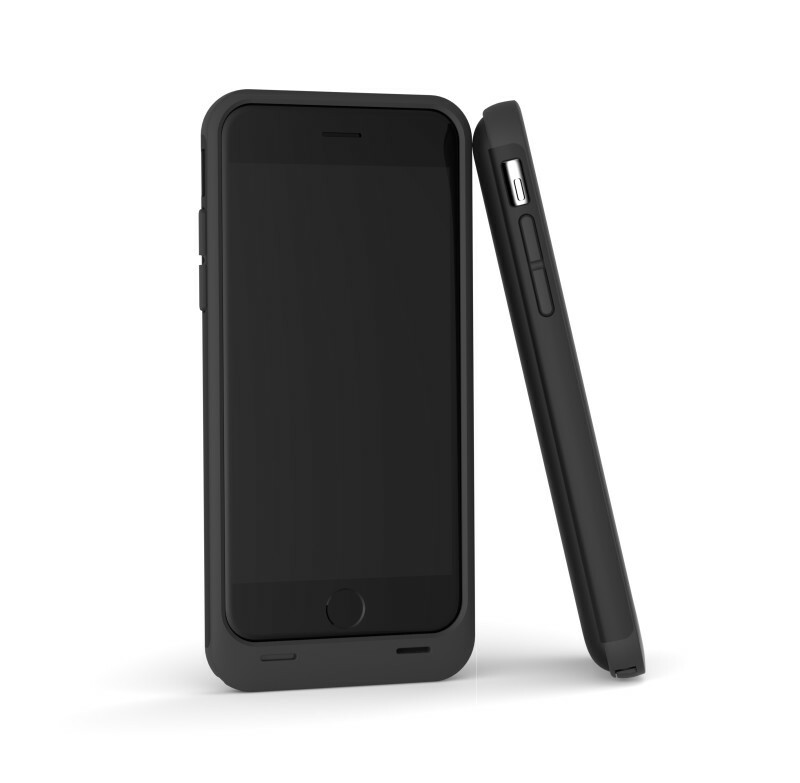 And while you may not have the peace of mind of a case that surrounds your phone from front to back, it offers a sizable raised edge that will protect your screen from most accidents. We love the looks of the PowerShadow. It features a unibody construction, soft touch finish and a cool blue icon on the back – which not only looks fantastic lit up, but is functional as well. The case is also easy to clean and keep clean (does not leave fingerprints, unless you are really dirty). We like the idea of its Silver Seal protection which acts as an antimicrobial barrier and fungicide. The PowerShadow come in two flavors (iPhone 5 or iPhone 6/6S) and also compliments your Apple with some nice colors including black, white, titanium and champagne. Let’s be honest here – some of us actually liked the extra width and weight of this case, as it offers a nice feel and balance when you are working with it. 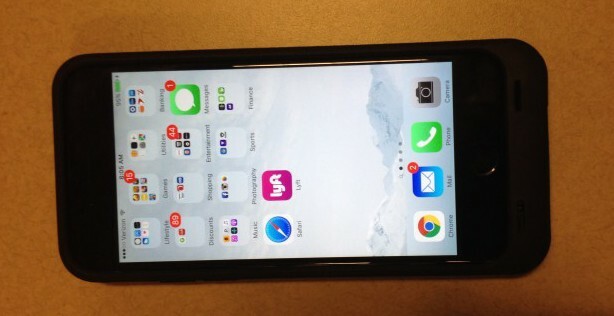 From our tests, the PowerShadow’s 2750 mAh battery will power up an iPhone 6 in about 30 to 45 minutes. 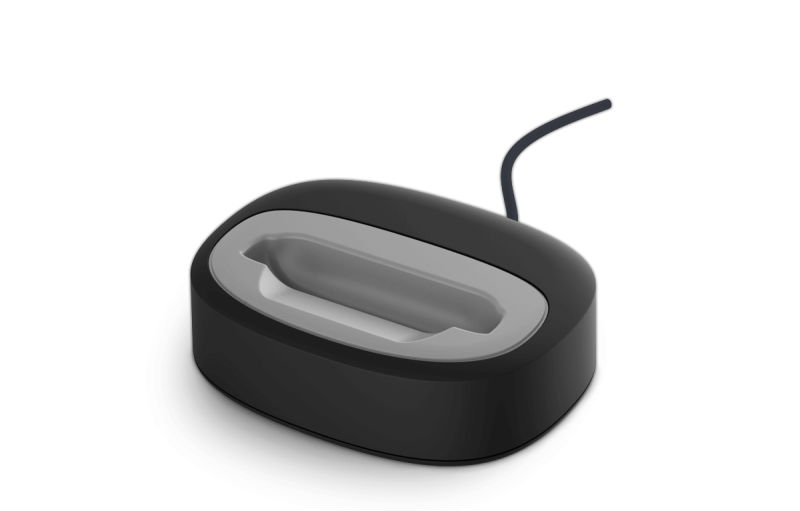 And it does feature an on/off switch, so you are in control of when your phone is utilizing its battery reserve or not. Another neat feature of the PowerShadow is the option to use their weighted docking case (sold separately). It looks nice on your desk and also enables you to dock and charge your iPhone with its battery case still attached. It will also charge both your phone and battery reserve at the same time without any extra steps. In addition, this dock also features automatic data backup, so it pretty much takes care of most of your phones daily maintenance all by itself, which we thought was pretty convenient. As you would expect, this case has been certified by Apple, comes pre-charged and retains access to all your phone’s important ports, buttons and camera lens. Long story short – we like this case. We like it a lot. We actually had a few fights on who would bring it home to test each night (we’re terrible at sharing). And if you think you could maybe like it too, jump on over to the SpyderStyle website for more information – or buy it on Amazon here .